This bearish sequel will leave you with a heart so warmed, you could trek across the Antarctic in shorts. However cynical a pose you try to maintain, Paddington Bear will find the chinks in your armor. Voiced with perfect innocence by Ben Whishaw and gorgeously animated by the artisans at Framestore, this profoundly likable bear consistently toes the line of maximum charm without slipping into schmaltz. 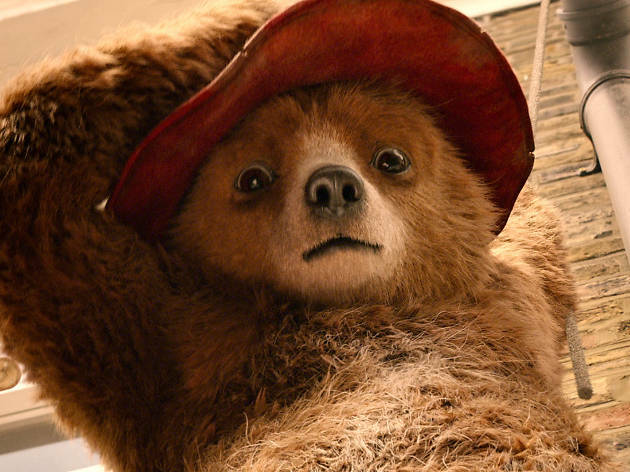 Miraculously, that’s also as true of the sequel as it was of his first big-screen outing, as Paddington 2 goes bigger and darker without losing focus on the small acts of kindness that make its ursine hero great. As we rejoin Paddington and his adoptive family, the Browns, our hero is searching for the perfect present for his Aunt Lucy’s 100th birthday. He finds just the ticket in an antique shop: a unique pop-up book. But while Paddington is saving up for it, a nefarious rival steals the book and frames Paddington for the crime. It’s no great spoiler to reveal that the baddie is Hugh Grant’s faded actor Phoenix Buchanan, a flamboyant weirdo who’s calibrated his levels of high camp to within reach of the summit of Everest. 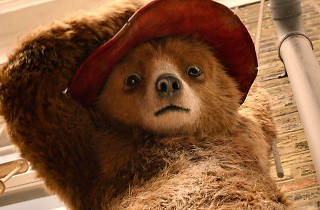 The plot has a whodunnit-and-how-do-we-prove-it element here that is a little more complex than last time, but crucially director Paul King and his co-writer Simon Farnaby once again show a perfect feel for Paddington’s humor, strengths and effect on the world. The bear’s guileless politeness even enables him to win over Knuckles McGinty (Brendan Gleeson), the terrifying bully who rules Portobello Prison with an iron ladle. The hard man then helps our hero enact a Wes Anderson-esque prison break that even Andy Dufresne would admire. Equally intoxicating is the setting, a sort of fairytale London where everything and everyone is a little more eccentric, colorful and friendly than reality. This city shines with a marmalade sheen, the sort of cooperative, whimsical Britain that The Great British Bake Off would have Londoners believe they already live in. Paddington's world makes you feel better about ours, and gives you hope for a generation growing up with this incarnation of the late, great Michael Bond’s lovable creation. It’s a family adventure that’s the right sort of heartwarming, delivering real human emotion through the medium of a small bear. I was worried the sequel might not be as good as the first movie. Well, turns out, it is much better! (What?) Yes, I said it. I think Paddington 2 is even better than the first film. Everything about it draws you in. This charming movie will make any sceptic change their mind. For sure! Visually, it's much more polished. The framing, the colour palette... Everything gives the film a fabulously nostalgic vibe. As for the story, the gags aren't as goofy as the first film, in fact they're actually top-class comedy. If you don't at least smile, I don't know what else will get to you. But the real surprise here is the emotional depth to it all. More grown up, a little darker, a little deeper, the storyline hits you right in the feels and really deals with some strong emotions. As for the cast, lovely as always. And the new-comers are really great too!. Knuckles is a new favourite, while Hugh Grant plays Phoenix Buchanan, an over the top hilarious mischievous actor. A must-see. Come on, you know you want to!